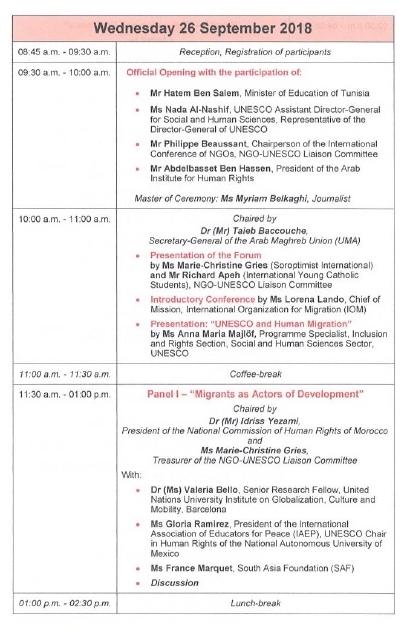 Organized by the NGO-UNESCO Liaison Committee in cooperation with the UNESCO Secretariat, the Ninth International Forum of NGOs in Official Partnership with UNESCO will be held in Tunis (Tunisia), on 26 and 27 September 2018, hosted by the Arab institute for Human Rights. 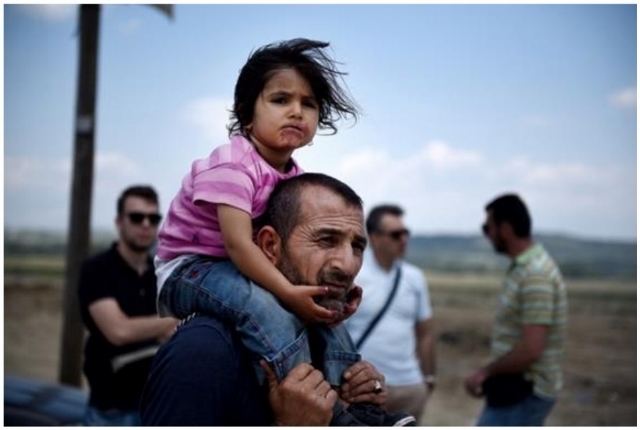 The theme chosen for this edition - “Another Perspective on Migration” - joins UNESCO’s objectives on migration and its action to “transforming our world through sustainable development”. The purpose of this Forum is to discuss human mobility, its dynamics and impact to building a lasting peace and ensuring a sustainable development of our planet. Together with some imminent experts, participants are also expected to create initiatives and design a pilot project for future collaboration among NGOs. The provisional programme, a concept note, practical information and other working documents are available on this site and that of the NGO-UNESCO Liaison Committee (www.ong-unesco.org).